*Welcome and announcements will begin at 9:15am. Please arrive for 9:00am. The festival begins promptly at 9:30am with the first session. Upon arrival, please have the bus drop-off and pick-up your class at the Seaforth & District Community Hall entrance. As you enter the hall, you will be guided towards a table labeled with your school’s name. This is where you can put coats and backpacks (make sure not to bring any valuables).This is also where you will eat lunch. Activities will run straight to 11:30 am so students should have a snack prior to the 9:30 am start time if necessary. No food is allowed in the arena or agri-plex. At the start of both morning and afternoon sessions, volunteer secondary school students will meet your group and guide you to the appropriate stations. At 2:15 pm volunteer secondary students will lead schools back to the hall to pick up coats and backpacks. Teachers can take home the box of resource materials that will be placed on your table before departure. Since there will be animals and machinery around the barns it is important that the students be reminded about safety and common sense when they are in the barns. They should NOT approach the animals or machinery unless instructed by the demonstrator. Some of your students may have allergies to hay, animals, or other things that will be around the grounds. Please ensure a plan is in place for these students. There will be hand sanitizer at each agriculture activity. You may have students in your class that for cultural, racial or religious reasons may not want to be a part of a certain activity. If you are aware of such a concern, please ensure a plan is in place for these students. St. John Ambulance will be on site. Please ensure students stay in their groups and are accompanied by an adult at all times (including lunch and washroom breaks). In the event of a lost student, please advise the HPAWF Coordinator or St. John Ambulance and they will assist you. The Festival will run rain or shine. 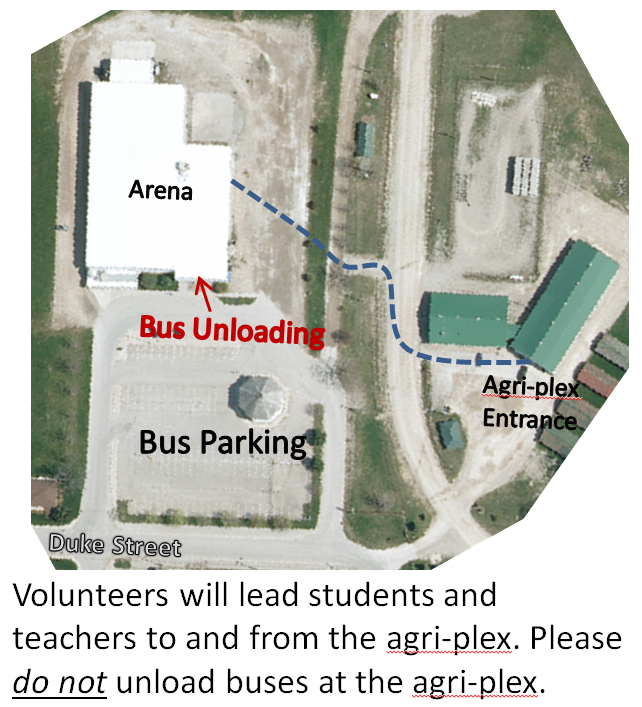 Please come prepared for the possibility of wet and cold weather as students will need to travel out to the agri-plex for agriculture sessions. Teachers please be aware, and advise your students accordingly that photos may be taken. It is also a possibility that newspaper reports may be present. Advice the Coordinator of any person(s) not allowed to be photographed. It would be helpful if the students could make and wear a personal name tag with their first name in large letters so that the volunteers can address them by name. Prior to the festival, please divide your class into 2 groups either A,B or 1,2. This will help sessions presenters quickly divide students for activities and help save time. Thank you! Please contact the Coordinator for arrangements to be made.